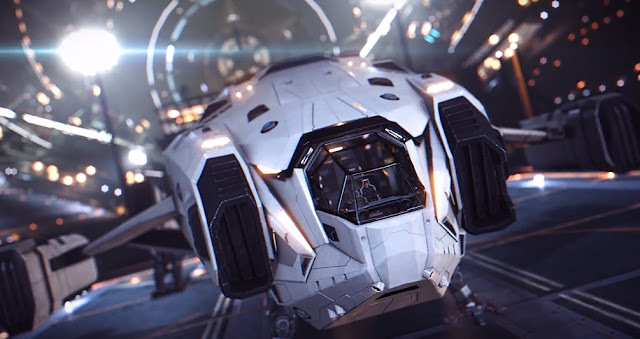 Frontier Developments plc (AIM: FDEV) today launches Elite Dangerous: Beyond – Chapter One, the first free update of Elite Dangerous’ third season, for PC, the PlayStation®4 computer entertainment system, and the Xbox One all-in-one games and entertainment system. Beyond - Chapter One introduces challenging Wing Missions, all-new megaship interactions that allow for collection of data and cargo, and a range of major quality of life improvements including changes to the crime and punishment mechanics, visual planetary enhancements, an overhaul of the mission rewards system and the addition of a trade data overlay that will help Commanders find the most profitable trades in the Milky Way. The Thargoid story continues in Beyond – Chapter One. Following the recent alien attack on humanity’s starports, Chapter One sees the shape of the threat continuing to change as an enemy craft from long ago resurfaces ready to strike any daring pilots that cross its path. In response to the rising alien threat a new Alliance/Lakon Spaceways ship – the Chieftain – takes to the skies in Chapter One. Designed to favour weapons and manoeuvrability over defence, this combat-oriented craft presents a new challenge for the Thargoids in the hands of capable pilots. Commanders will also be able to uncover new clues about the mysterious Guardians, offering insight into this long-lost civilisation and their way of life. As Commanders assemble these pieces of information and artefacts they will be able to design and engineer new items and weapons that can deal impressive damage. Elite Dangerous: Beyond - Chapter One is available today as a free game update for Elite Dangerous players on PC, PlayStation 4 and Xbox One. To experience some features of Chapter One, players will need to own Elite Dangerous: Horizons.